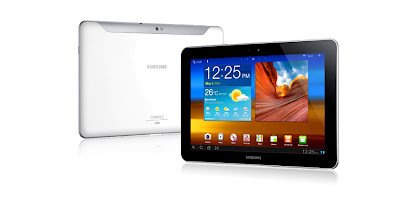 In the first announcement, Atmel said that Samsung is using the company's maXTouch™ mXT1386 touchscreen controller in the recently introduced Galaxy Tab 10.1. Many reviewers have described the Tab 10.1 as the best competition so far for the iPad. The Samsung Galaxy Tab 10.1 is running the Google Android Honeycomb 3.1 operating system on an NVIDIA Tegra 2 dual-core processor. Atmel also announced that they have integrated their Sensors Xplained software drivers in their recently-launched AVR Studio® 5 Integrated Development Environment (IDE). The company says that embedded system designers can use the new software drivers to accelerate application and device development for a variety of popular sensor types in consumer, industrial and medical applications. Atmel's partners for the AVR Studio 5 development include sensor manufacturers AKM, Bosch Sensortec, Honeywell, Invensense, Kionix, and Osram Opto Semiconductors. The Sensors Xplained software drivers and expansion boards have been designed by Atmel to be plug-in compatible with all the Xplained series microcontroller boards for the Atmel AVR family of MCUs. The Atmel sensor solution provides designers with the AVR Xplained processor board and development system, a sensors board to add onto the Xplained processor board and the software drivers in the free Atmel AVR 5 Studio. The Atmel Sensors Xplained drivers are available now by downloading AVR Studio 5 at http://www.atmel.com/microsite/avr_studio_5. Inertial Sensor Board One: Provides 9 degrees of freedom for inertial sensing. Includes an Invensense ITG-3200 3-axis gyro, Bosch Sensortec BMA150 3-axis accelerometer and AKM AK8975 3-axis magnetometer for USD $54. Inertial Sensor Board Two: Provides 9 degrees of freedom inertial sensing. Includes an Invensense IMU-3000 3-axis gyro, Kionix KXTF9 3-axis accelerometer and a Honeywell HMC5883L 3-axis magnetometer for USD $54. Pressure Sensor Board One: Includes a Bosch Sensortec BMP085 barometric pressure for atmospheric and altitude sensing for USD $24.